We're excited to redefine the understanding of performance - meet the new 2019 ROUSH Stage 3 Mustang. The ROUSH Stage 3 gives you the control to drive in stealth mode or race mode with our Active Exhaust System. This optional ROUSH Active Exhaust System is available in a striking black finish. Download the smart phone application to create a customized tone and volume for the Stage 3's exhaust. 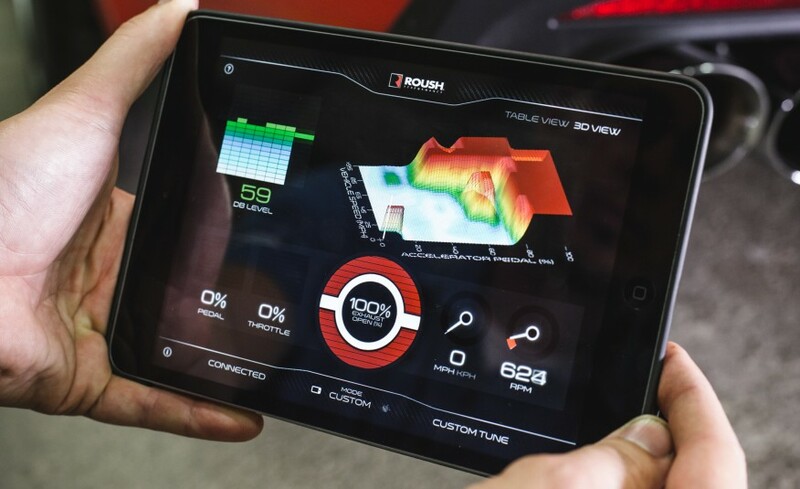 The app allows digital tailoring of the system from closed to open and allows endless custom tuning possibilities. 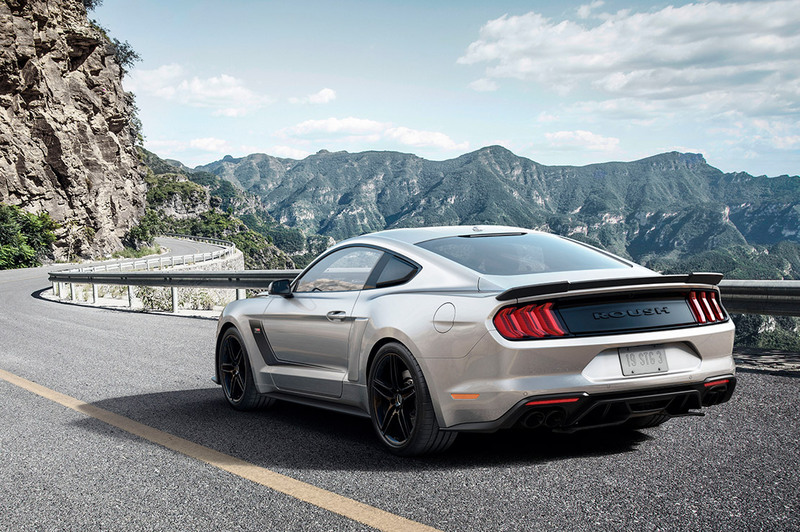 Everyone loves the Ford Mustang's timeless lines, but the Stage 3 incorporates several new features that set it apart at the track. Designed to maximize airflow, the ROUSH R8 aero package features a high-flow upper grille with an iconic “3” badge along with an exterior body kit which includes a widened lower grille, chin spoiler, aero corner pockets, body side scoops and more. In addition, the complete graphics package for the Stage 3 can be customized across a variety of colors and patterns. The ROUSH Stage 3 comes standard with custom 20-inch quicksilver-finished wheels and Continental ExtremeContact™ Sport tires. At ROUSH Performance, it's not enough to deliver heart-pounding performance, unparalleled refinement, and race-inspired styling. 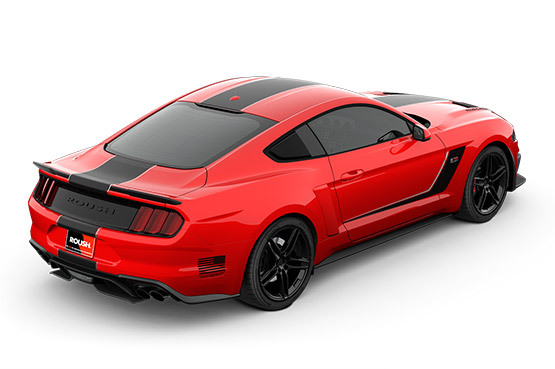 We take a step further and back-up the 2019 ROUSH Stage 3 Mustang with an industry-leading 5-year, 60,000-mile powertrain warranty to show you that we are with you on this ride.